Preheat oven to 375°F. With a sharp knife or pizza cutter, cut the sheets into approximately 3 inch x 3 inch squares. Press each square into a muffin cavity. Cube the cheese - about a 3/4 inch cube for each (you may have a little cheese left over). 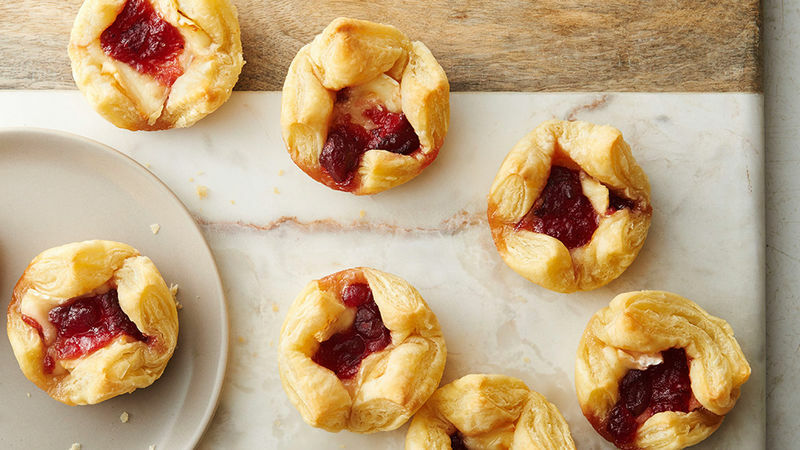 Place a cube of brie in the centre of each puff pastry square. Top the brie with a small dollop (about 2 tsp) of cranberry sauce. Bake about 10 minutes or until puff pastry corners are toasted lightly brown.